ErieTint had the most liked content! Just wanted to say thanks @OverLord for his huge HUGE help on a 1995 C4 Corvette back hatch yesterday. Burned up a couple pieces of (ceramic) film on my own and became super frustrated. Car has been sitting in my shop for a week while I mentally cooled down and debated how much more film I wanted to trash. David was nice enough to stop by the shop and lend me a hand. When I say lend I mean he drove well over an hour each way to school me on how to tint a 'Vette. I've not been doing this as long as a lot of you but days like yesterday give me hope. 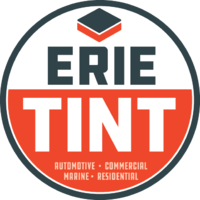 This truly is an industry of sharing knowledge and helping your fellow tinter. Hopefully I can put in as many successful years as some of the guys here. Appreciate the help man, more than you can imagine. Tell Ann thanks too for being patient with us. My fiancé gets antsy when its "guy time" because she knows the clock almost seems to stop. Next time we will have to catch up for something less work related, maybe when @jh812 is back in this neck of the woods. I have not yet. Well, not really. I did try to bottom load a demo door in their booth at SEMA with Dean coaching me. Tried their software, like it. Haven't tried their film or any tools other than SEMA. Would love to stop pulling doors apart to get seals out if this thing works the magic it claims to work. I've done windshields in 50 dyed and 90 ceramic. I have a friend asking me to do his in 35 and I'm dragging my feet. I like the added glare reduction and the touch of color you get from 50 but would rather have the added heat rejection with the ceramic film. Really it depends on what you are after. Is it a form or a function thing? Figured there was a term for it. I hate throwing film away but that's better than firing up the steamer and fixing windows. I just did one the other day where I got a window out of the last little bit on the roll and it was no good. Everything laid out find and looked mostly ok except the last 5"-6" of the window that was at the end of the roll had what looked like waves in it. I've never gotten that close to the end of a roll before but I'm guessing that was the issue. I've only done an '18 Z06 at this point... #Nervous I'm hoping to find the time to do some research this week. Maybe find a video or seven. I've got a '95 coming next week, same rear glass. Any pointers? Not gonna lie, I'm kinda nervous. Hey @tint guy is that a C4 hatch? I have one of those coming next weekend. Its mine for a couple days as I told the customer it may take that long.